Supriya and I are color connoisseurs. No, we don't keep track of runway trends or designer predictions for hot home decor colors but we are inherently enthusiastic about color and we have both incorporated color in our homes with confidence and today's post is all about that. But first, the winner of our giveaway - I know, you've all been waiting excitedly and so have we..
Congratulations Preety - you are the winner of Aalayam's first giveaway!!!! Preety, please email us your mailing address to aalayaminspiration@gmail.com so we can work on mailing your gorgeous tray. Congratulations again Preety! And once again, thank you to all the participants for making this giveaway that much more exciting! 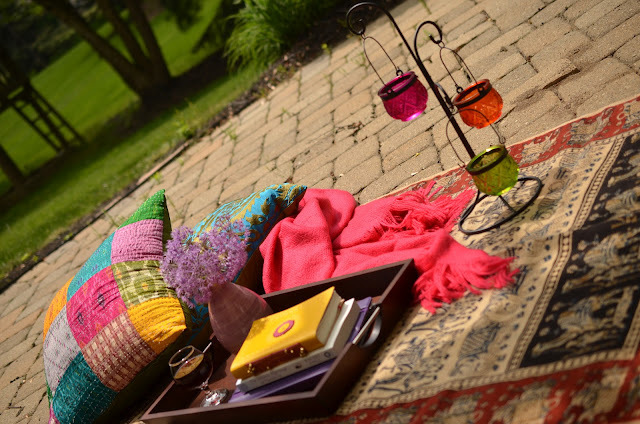 Now back to our post on weaving color into your life and space…Please head over to Nayana's Cherish Dream Live to read the rest of this post!. 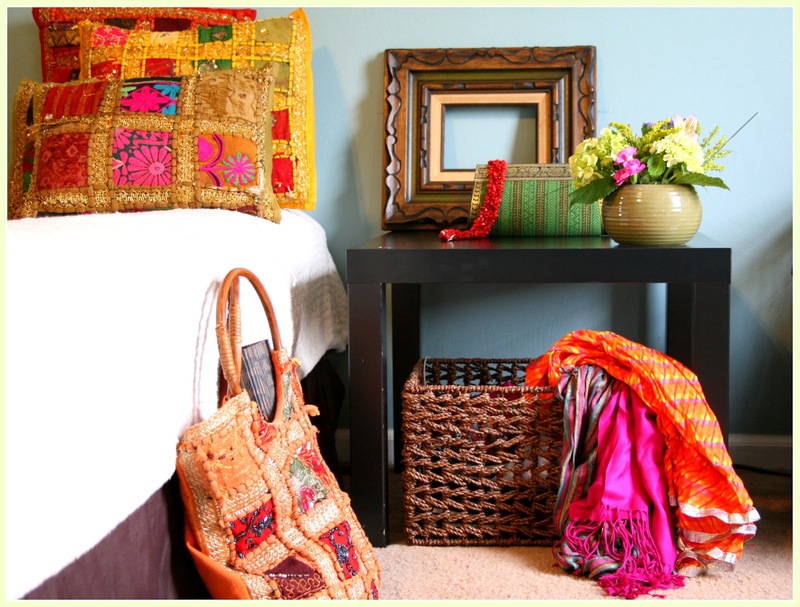 Nayana is an Indian home decor blogger from New jersey and we love her blog and her motto. She writes for Cherish Dream Live and believes "It's all about Cherishing yesterday, dreaming about tomorrow and living for today" We teamed up with Nayana and we are guest authoring at her blog today. What you will find at Nayana's is some great DIY features, good photography and more that will make you want to visit her blog repeatedly. A colorful vignetter from Deepa's backyard! Hope you enjoy this post on Color love! And as always, we would love to hear your feedback. Leave us a comment sharing your thoughtsand opinions. We are also interested in knowing if there are any special topics you would like us to feature on Aalayam. Please write to us! Thanks for the kind words Deepa and Supriya...I love your blog too and glad to hv u on my blog today...its great post with beautiful pictures and write up. Congratulations to Preethi for winning gorgeous tray..
Nayana, thank you for this opportunity! We had an absolute blast shooting for this post! Omg i am soooo happy to win that gorgeous tray..looking forward to show off in my blog when it arrives..thanks again..
Hearty Congratulations Preety!!!! We cannot wait to aww how you showcase the tray! Please share pictures and Thank You! for your participation. Do send us your shipping address to aalayaminspiration@gmail.com.